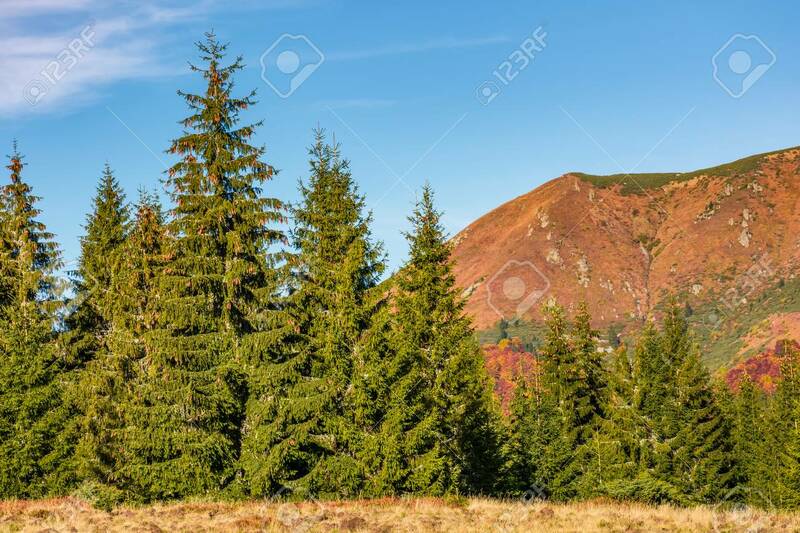 Spruce Forest At The Foot Of A Mountain Ridge. Ravishing Nature.. Stock Photo, Picture And Royalty Free Image. Image 88789605.